Welcome to the class page for E-5! Here you will find some great resources for extra practice as well as other important websites and information for our class! ABCYA.COM has many fun educational games! ​Click the image to visit the site! FUNBRAIN.COM has many educational activities! Starfall.com has many activities that you can use for practice! No log-in needed! PrimaryGames.com has many Math, Reading, Science, and Social Studies games in their "Learn" section! Search your App Store for FREE educational apps and games by Duck Duck Moose + Khan Academy! Click the image to visit the site. Our class subscribes to Scholastic's Classroom Magazines called Let's Find Out and Science Spin. You will see these magazine activities come home often. This is an online resource you may use to review what your child learned in class. Please use the log-in information that was sent home. I ask that you do not work ahead and only review the editions that are being sent home. Click the images to visit the two sites! 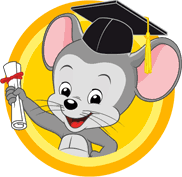 There may occasionally be "assignments" listed on your ABCMouse.com account for extra practice. This is NOT mandatory and will be updated as often as possible. Please see flyer sent home for how to link or create a new account that is synced with our classroom. Click the image to visit the site! A great opportunity to further your child’s excitement for learning is to provide a variety of literature at home. 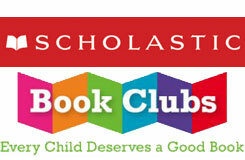 To make things easier for you, you can purchase grade level appropriate books at a discounted price through the Scholastic catalogs that will be sent home each month. The books will then be delivered to the school and sent home with your child approximately 2 weeks after the order date.